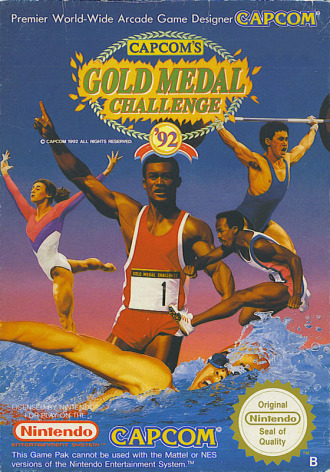 Catch the spirit of world-class competition with Capcom's Gold Medal Challenge '92! Train and compete with up to seven friends in 18 pulse-pounding events. Now's the time to really pump up and get physical! 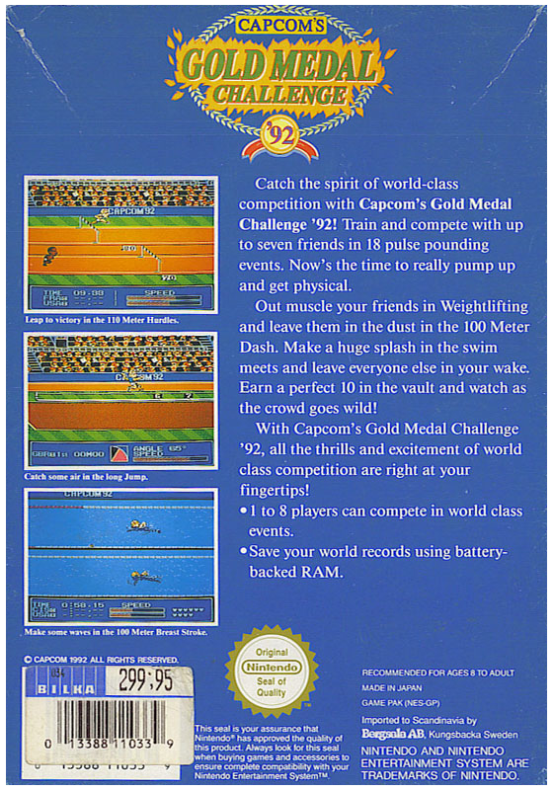 Out muscle your friends in Weightlifting and leave them in the dust in the 100 Meter Dash. Make a huge splash in the swim meets and leave everyone else in your wake. 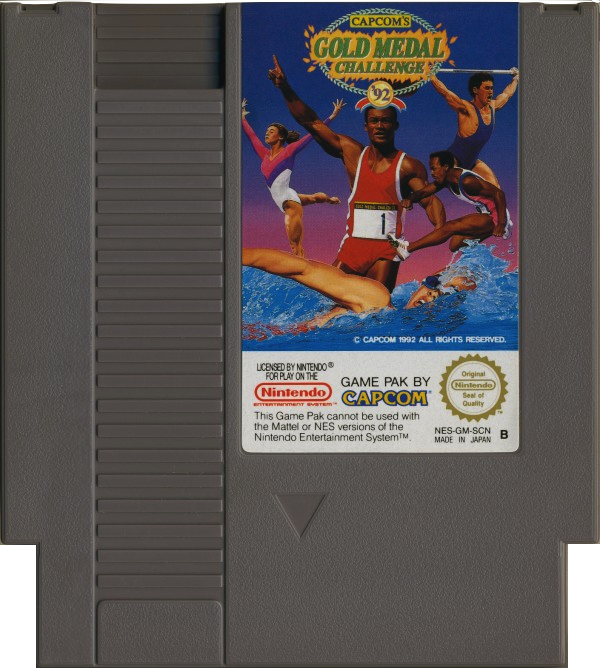 Earn a perfect 10 in the Vault and watch as the crowd goes wild! With Capcom's Gold Medal Challenge '92, all the thrills and excitement of world-class competition are right at your fingertips!